On 24 Feburary 2017, UK MP Philip Davies spoke non-stop for 91 minutes in an attempt to turn a new domestic violence bill protecting only women into a gender neutral bill protecting both men and women. Despite all his appeals, the bill called Preventing and Combating Violence Against Women and Domestic Violence Bill 2016-17, was passed unchanged with 138 to one votes. Philip Davies was the only MP who had objected to the bill’s sexist title. He wrote in an editorial that “it demonstrates how petrified MPs are at standing up to the increasingly extreme feminist agenda, which no longer seems to argue for equality and thinks it is perfectly acceptable to discriminate against men.” The bill is based on the Istanbul Convention which itself is sexist towards men. Davies and another Tory MP David Nuttal had proposed 47 amendments to the bill to make it gender neutral. 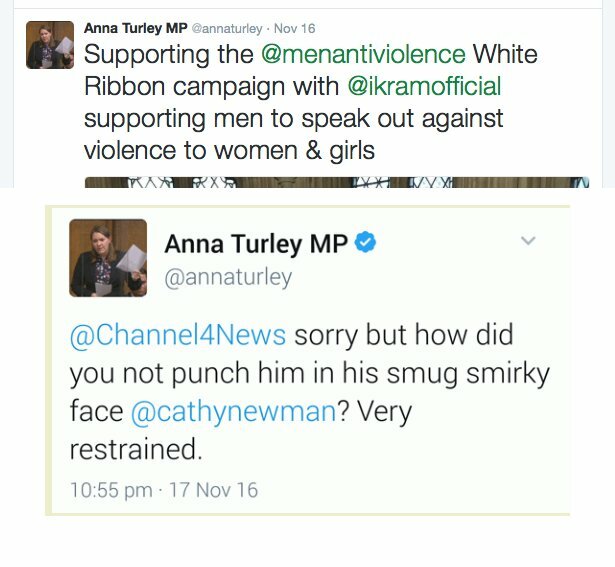 The anti-domestic violence bill was introduced by MP Anna Turley, who had advocated punching right-wing US journalist Milo Yiannopoulos in November 2016. The incident was misreported by several news outlets and many accused Davies of trying to block a benign bill protecting women from domestic violence. Peter Walker writing for The Guardian described the incident as Davies trying to filibuster the bill. Yas Necati writing for The Independent said, “Philip Davies doesn’t know what he’s talking about when it comes to women’s rights“. He also quoted statistics that one in four women experience in UK domestic violence, but didn’t provide any explanation on why he feels that men should be excluded from the protection of the bill. This entry was posted in domestic violence, law and tagged Anna Turley, bill, domestic violence, feminism, Istanbul Convention, law, Milo Yiannopoulos, Philip Davies, UK. Bookmark the permalink. Indian woman rants about arranged marriages on Reddit, provides some interesting insights into the arranged marriage system.